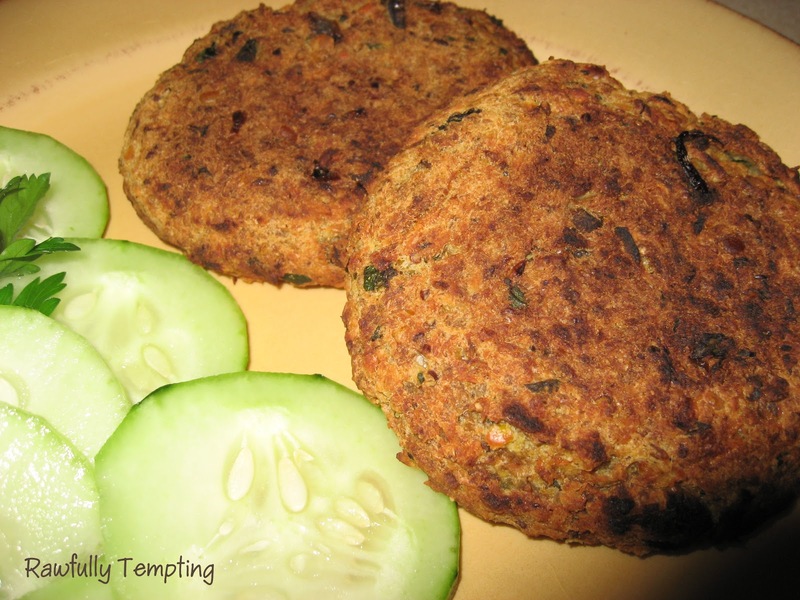 These are obviously not raw, but if you are transitioning to a plant based diet, and crave a bit of cooked food on a cold, Winter evening, these are super yummy and easy to prepare. Dairy free Yogurt Sauce on the side. Yummmmy! You can make raw fermented yogurt from almonds...recipe posted elsewhere on this blog. But here is a quick mock yogurt. Make cashew cream mixing 1cup raw cashews and 1 cup or more water. Blend well. In a saucepan, cover lentils with water about 2 inches and bring to a boil. Reduce heat and simmer about 10 minutes, until lentils are tender. Drain the lentils well and set aside. In a small bowl, mix cashew cream, lemon juice, garlic and parsley and set yogurt sauce aside. Mix flax seeds and water, whisk with a fork and set aside. Stir in cumin and cayenne and transfer from skillet to a large bowl. Add brown rice crumbs, parsley, flax seed mixture, salt and pepper and mix well. Add drained lentils and mix. Form the mixture into 8 1/2 cup burgers. Brush a baking tray and both sides of burgers with oil. Broil until golden, about 7 minutes per side. 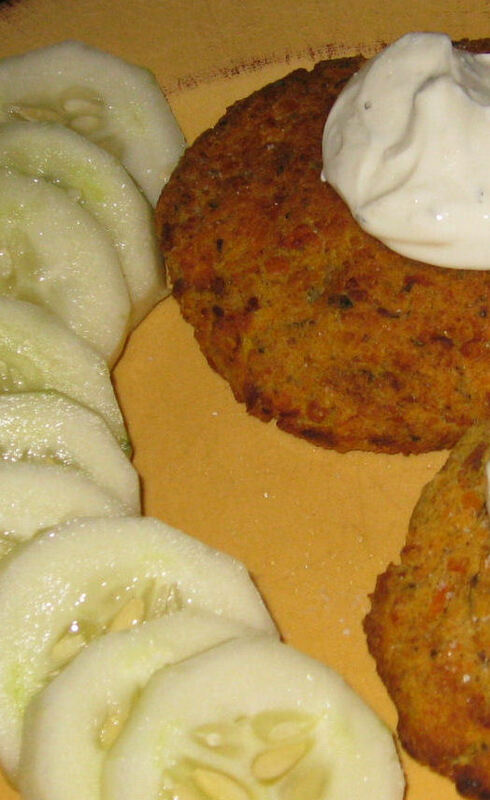 Serve the burgers hot, with a dollop of yogurt sauce and sliced cucumbers.